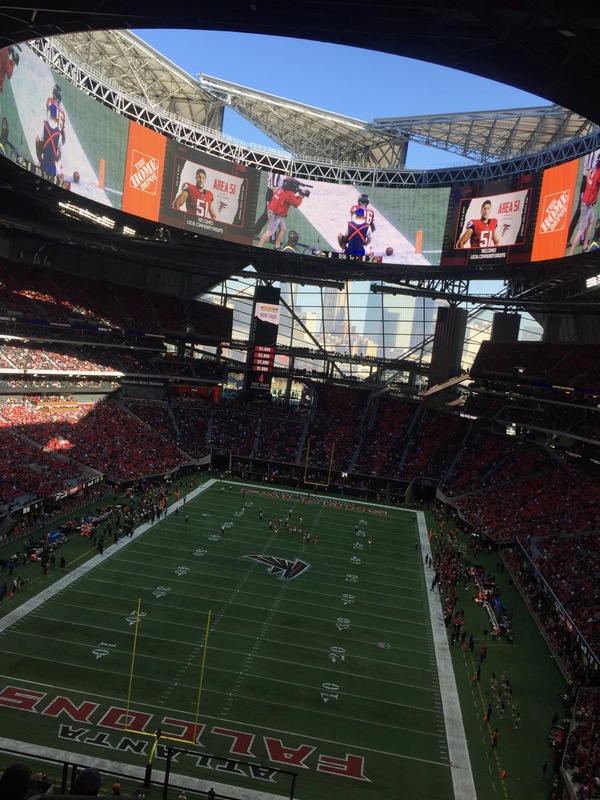 Editor’s note: The following team-by-team capsule reports of NFL stadium technology deployments are an excerpt from our most recent Stadium Tech Report, THE PRO FOOTBALL ISSUE. To get all the capsules in one place as well as our featured reports, interviews and analysis, download your free copy of the full report today. 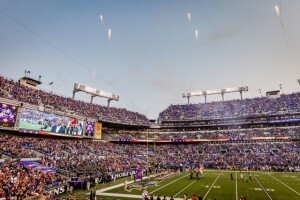 Extreme Networks picked up another NFL win this offseason, being selected to provide the Wi-Fi network gear for the Baltimore Ravens M&T Bank Stadium. 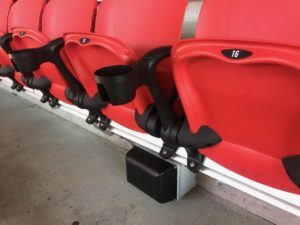 According to press releases from the team and Extreme, Extreme will install approximately 800 Wi-Fi APs to provide wireless service to the seating and concourse areas of the stadium. The $6.5 million network will be designed and deployed by integrator PCM Inc. of El Segundo, Calif., and the team app will be developed by YinzCam. According to the Ravens M&T Bank Stadium has a seating capacity of 71,000 for football. The Ravens are also unveiling a new 3-D video system called freeD that the team said shows replays from every possible angle, like the replays seen on newscasts that can circle around the field of view. 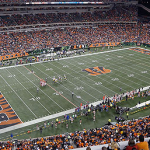 After putting Wi-Fi from Extreme Networks into Paul Brown Stadium for last season, the Bengals announced an additional $20 million in improvements for 2015, including newer, larger video boards. A TE Connectivity DAS in already in place, and the Wi-Fi network went through some upgrades especially in the stadium’s canopy level. While the Cleveland Browns continue to add improvements to FirstEnergy Stadium, Wi-Fi is not yet installed; according to news reports it should be available by the end of the 2015 season. With room for 3,000 more fans in Heinz Field this season thanks to some offseason construction work, more Steelers fans than ever will be able to cheer on the Black and Gold. Wi-Fi access, however, remains limited, not available in the full bowl but only in the FedEx Great Hall and the West Main Concourse. Clubs and suites also have free Wi-Fi, and the team said customer service reps will be available to deal with issues. 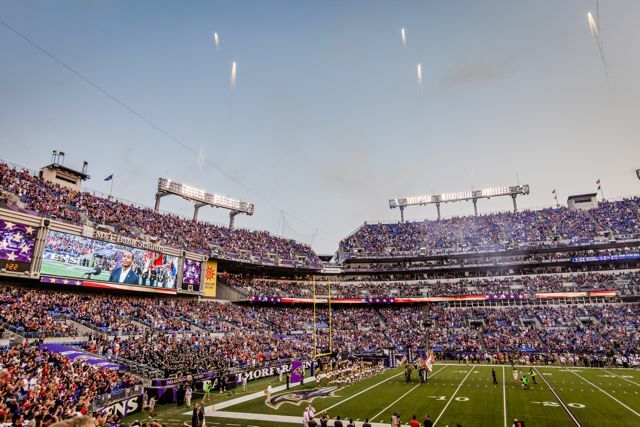 The NFL regular season hasn’t started yet, but Extreme Networks picked up another NFL win this week, being selected to provide the Wi-Fi network gear for the Baltimore Ravens M&T Bank Stadium. We’ll try to get more details on the deployment but by our count this is the seventh NFL team to use Extreme Wi-Fi gear for stadium Wi-Fi, joining the New England Patriots, the Philadelphia Eagles, the Seattle Seahawks, the Tennessee Titans, the Jacksonville Jaguars and the Cincinnati Bengals. Like in other deployments, the Ravens plan to use Wi-Fi coaches to help fans connect to the network. 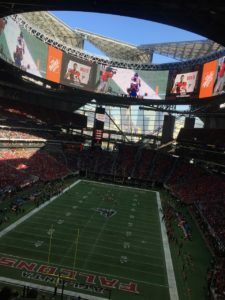 Extreme Networks is a preferred supplier of Wi-Fi technology to the NFL, a deal that does not guarantee that teams have to use Extreme but one that does provide preferential pricing if they do. 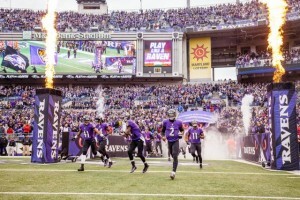 Extreme is also the official Wi-Fi analytics provider to the NFL, and its Purview analytics software will be used in Baltimore, according to Extreme and the team. Editor’s note: The following team-by-team capsule reports of NFL stadium technology deployments are an excerpt from our most recent Stadium Tech Report, THE FOOTBALL ISSUE. To get all the capsules in one place as well as our featured reports, interviews and analysis, download your free copy of the full report today. The Ravens are in the midst of a $35 million renovation to update their 15-year-old stadium. The focus of the enhancements is on aesthetics, with new video boards and more LED displays being installed. No Wi-Fi at the stadium yet, but fans should have no problem getting a cell signal via the now 2-year old Corning MobileAccess DAS system. The upgrades on the field over the last two seasons have been significant for the Cincinnati Bengals. And soon you’ll be able to say the same about Paul Brown Stadium. Wi-Fi from Extreme Networks is in place for all home games this NFL season. Less than a year ago, the Cleveland Browns were awarded $62.5 million from the NFL to improve FirstEnergy Stadium. Upgrades for the 15-year-old stadium include Wi-Fi, video boards, and a new sound system. With two first-round draft picks, a Heisman trophy winner potentially under center, and another new coach – the stadium is not the only thing experiencing a makeover. But Browns fans will have to wait a year to have Wi-Fi and Johnny Football at the same time. With plans to increase its capacity over the coming years, it’s important for Heinz Field to continue to be one of the best home field advantages in all of football. The easiest way to do that is to keep fans happy. And as a Steelers fan, what sounds better than waving your Terrible Towel whilst taking a selfie? Steelers faithful can do just that thanks to 193 Wi-Fi access points and 339 DAS antennas outfitted from AT&T and Verizon. Now can Pittsburgh return to the playoffs after a 2-year break?